Susan Gilmour is an internationally acclaimed singer and actress. She’s best know for playing Fantine in “Les Miserables” on Broadway and at Toronto’s Royal Alexandra Theatre. Susan also played Fantine in the Los Angeles production, where she was nominated for the Robby Award “Best Supporting Actress,” and she performed with the international Touring Company in Singapore, Cape Town South Africa, Hong Kong and Seoul Korea. In the podcast we discuss the time, early in her career, Susan lost a job as a cruise ship entertainer, listen and find out why she was kicked off the ship. 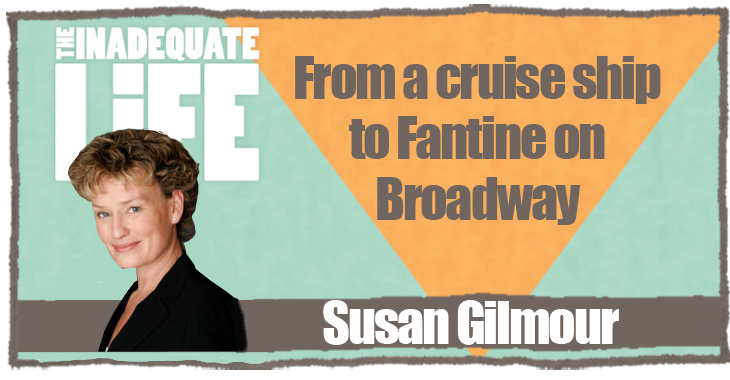 Despite the cruise ship experience, Susan’s passion for singing pop music provided a foundation for her success in musical theatre along with her training at Grant MacEwan College, the Edmonton Musical Theatre and The American Musical and Dramatic Academy in New York City. We also discuss her work at The Stratford Festival with director Peter Hinton. “Footloose” runs until Oct. 30. “Sister Act” runs from Nov 23 – Dec 24. Special thanks to The Bruce Hotel where we recorded our conversation. 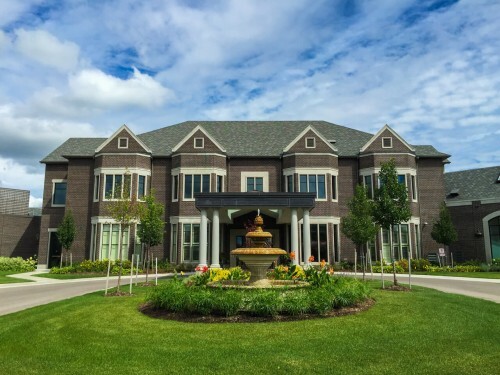 The Bruce is Stratford’s most luxurious hotel, offering unparalleled service. Check out episodes that also mention Broadway, Drayton, Edmonton, Stratford.